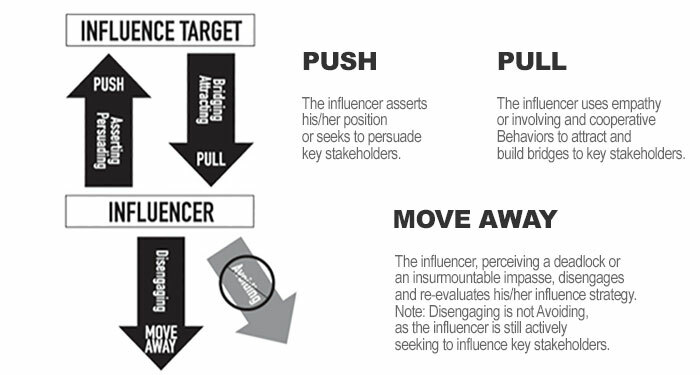 Influence skills are primary elements of effective communication and leadership ability. 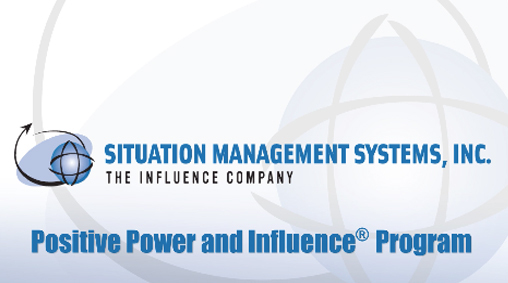 As a management training and professional development organization for over 30 years, Situation Management Systems offers the original influence skills program called Positive Power and Influence®. This program provides people with the behavioral skills important to getting their jobs done efficiently while keeping relationships intact. Participants who attend the POSITIVE POWER AND INFLUENCE® Program have a deep desire to become more influential. They realize that they can achieve this goal through increased self-awareness, Emotional Intelligence, and the SMS influence tool kit. Habitual reactions and behaviors block one’s ability to calmly and creatively work with difficult people. The POSITIVE POWER AND INFLUENCE® Program teaches participants how to strategically change the way they interact with others, especially in difficult situations. Defensiveness, frustration, and apathy are replaced with strength and purpose through the use of the Influence Styles, which are essential to achieving objectives while building important relationships. Participants learn to diagnose difficult influence situations that they encounter and then construct a strategic Influence Action Plan. Many research studies have demonstrated the power of planning. In SMS’ own research, we found that four weeks after attending the Program, 75% of participants have had success or have on-going success in challenging situations. Prior to attending the Program, only 25% felt they had a chance of succeeding. Influence is an essential life skill and people do not separate their personal life from their professional life from a behavioral standpoint. Whether communicating with people in their workplace, community, or home, excellent influencers are keenly aware of the need to build trust, establish connections, be authentic, emotionally intelligent, and above all, be present. Influence occupies the space between people and any one person has the ability to shift the dynamics in the room. Getting things done with and through others includes meeting the needs of all parties involved, while simultaneously satisfying multiple agendas. Yet, there needs to be a balance between achieving objectives and taking care of relationships. Based on Neuroscience research, this can be extremely challenging given the way our brains are wired. We have two different neural networks directly involved with influencing; one that focuses on the task, which is called the Task Positive Network (TPN), and one that focuses on relationships, which is called the Default Mode Network (DMN). These networks often do not operate simultaneously, potentially resulting in the loss of productivity and effectiveness. People who favor the TPN, may achieve their influence objectives, but often at the expense of important relationships. Others, who favor the DMN, habitually avoid conflict thereby preserving the relationship, but sometimes at the expense of fulfilling their work goals. Based on the neuroplasticity of the brain, this can be changed through the use of the Situational Influence Model™, which stimulates these two neural networks to get the task done and manage relationships at the same time. By attending the POSITIVE POWER AND INFLUENCE® Program, participants learn about their strengths and weaknesses. It challenges them to take responsibility for the quality of their work and relationships versus blaming others – the difficult people, or the situation – for their inability to succeed. By applying the key elements of the Situational Influence Model, participants grasp how to influence others effectively, through managing their emotions and handling conflict. The core of the POSITIVE POWER AND INFLUENCE® Program is the renowned Situational Influence Model™, which consists of three key elements: Influence Energy, Influence Styles, and Influence Behaviors. The Model demonstrates that we need not rely on one predominant Influence Style. Rather, we can apply the Styles best suited to each influence situation we encounter. We define Energy as mental, emotional, physical, and spiritual. When we feel strong in each of these areas, we convey that strength through being authentic, centered, and grounded. This type of energy immediately builds trust, and is expressed through our words, tone of voice, and body language. It is further defined as being Push, Pull, or Moving Away Energy. 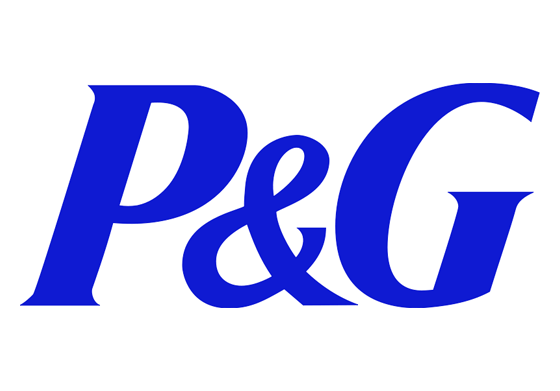 The POSITIVE POWER AND INFLUENCE® Program moves briskly through influence concepts to focus participants on mastering Influence Behaviors, and to applying those Behaviors in their own work environment in the weeks immediately following the Program. This is accomplished through role-plays, case studies, small and large group work, exercises, lecturettes, one-on-one trainer coaching, peer feedback, a/v feedback, and application to a real-life situation. A key learning point for most people is that they need to manage their impact on others. Influence is not a one-way street and it is not something that we do to others. Based on our knowledge of a situation and the other person, if we communicate something that resonates with them then they will most likely respond positively. Without this resonance, influence does not occur. Your SMS account manager will work closely with you to customize the Program for your audience. Note: We also encourage client organizations to conduct the Program using internal facilitators trained and certified by our firm. The Content of Personality: Self-Reports or Behavior? The Positive Power and Influence Program (PPIP) has roots both in German introspective phenomenology and American behavioral psychology. Phenomenology focused on the content of personality and accepted personal reports of experiences as valid data. Gestalt psychology is a direct descendent of this approach (as we will discuss later). American behaviorism, on the other hand, modeled itself after the physical sciences. Rejecting the validity of subjective (self-reported) experience, behaviorists only accepted observable—hence behavioral—data. Henry Murray, a student of Freud teaching at Harvard University, had developed the Thematic Apperception Test (TAT). In this test, the participant (or patient) saw a series of pictures shown one at a time. The participant then composed or invented a story about what was happening in the picture. David Berlew, a clinical psychology student, was among a number of researchers trained to analyze the stories, or “samples of the unconscious,” and use these analyses to assess mental illness. Berlew’s mentor, David McClelland, was one of the American psychologists who tried to broaden behaviorism to include the content of personality or of thought. Through a rather elaborate series of experiments, McClelland developed coding systems that allowed researchers to count the frequency of certain types of imagery in the TAT stories that people told. By coding imagery, McClelland could obtain a quantitative, or “behavioral,” estimate of the strength of certain interesting social motives. McClelland named these motives Achievement, Affiliation, and Power. In a sense, his approach brought German phenomenology and American behaviorism together. It allowed the content of thought (whether conscious or unconscious), to be explored by observing and counting the frequency of certain types of verbal responses. McClelland’s early work focused specifically on the Achievement motive, which became increasingly identified with entrepreneurial motivation. Later, he turned his attention to Affiliation and Power. A student, David Winter, continued to study Power motivation in public figures such as presidents. When McClelland and Winter spoke about Power motivation, they meant an unconscious motive based on the degree to which an individual gets pleasure and satisfaction from exerting power and influence over other people. In behavioral terms, if exercising power is rewarding for you, you are likely to do it more often. Of course, it is not easy to predict motivation from observed behavior, because behavior is complex and human motivations are even more so. Psychological barriers, or neuroses, are not infrequent. For example, some people spend most of their lives without engaging in any display of creative or artistic behavior, but late in life they exhibit considerable artistic talent. When they discuss this change in behavior, they confess to finally overcoming deeply held fears of ridicule or lack of confidence. Similarly, some people may have high Power motivation but find that it conflicts with their values, and so they suppress that part of their behavior, or at least they may tend to hide it or disguise it. In fact, McClelland’s studies did show that a questionnaire measuring the degree to which people think Achievement or Power or Affiliation is important (or important to them as individuals) does not correlate with the actual frequency of Achievement, Power, or Affiliation imagery in their imaginative stories (TATs) or “unconscious fantasies.” Motivation is suppressed when perceived as undesirable. McBer and Company, a consulting and research firm founded by McClelland and Berlew in the late 1960s, developed programs focusing on motivation. One early “achievement motivation” program trained people to think in the same way that entrepreneurs (or other people with high Achievement motivation) think. The program taught participants to write imaginative stories filled with achievement imagery, and then trained them in behaviors that were characteristic of people who spent their days thinking “achievement thoughts.” Although the program produced powerful learning experiences for participants, many corporate managers found it “too psychological.” In addition, the training techniques were not easily transferred to other trainers who were not trained psychologists. The research of McClelland and Berlew assumed that the “effective level”—the level actually operating— of a particular motive was a result of both what people carry around internally and the “arousal characteristics” of the situation. For example, Person A may have a high Achievement motivation, but if this person is eating lobster with friends at a restaurant it simply may not be engaged—and thus may have an “effective level” of zero. On the other hand, Person B may have a relatively low Achievement motivation. But in an environment that continually presents challenging tasks, provides good feedback on performance, encourages moderate risk-taking, and so on, then Person B may have a reasonably high “effective level” of Achievement motivation. In fact, evidence suggested that entrepreneurs worked hard to shape their own environment, to maximize their intrinsic level of Achievement motivation. Interestingly, Berlew concluded that the difficulties he encountered trying to train people to exhibit more “achievement” behavior were not likely to surface with “power” behavior. He figured that people were always able to demonstrate their use of power (in the form of observable influence behavior) in the street, over cocktails, at home or work, in politics—anywhere two or more people gathered for a purpose. A different theoretical source of the PPIP stems from American sociology, particularly the work of Talcott Parsons and his student, Robert F. Bales. As a graduate student at Harvard, Berlew encountered Bales studying small group behavior. Bales coded the interaction of small, leaderless groups by sitting behind a one-way mirror and observing behavior. Bales had devised a coding system that included categories like “Makes Suggestions,” “Asks Questions,” and so on. Berlew and other assistants were trained to code individual behaviors they observed into these categories, achieving a 90 percent reliability rate. From these data, Bales drew a number of interesting conclusions about group behavior and the behavior of individuals in the groups. For example, he found that the “most influential” person eventually becomes unseated by the second most influential person (usually the most popular or best liked). The process iterates or recycles, with the newest most influential person being unseated by the“number two” person, and so on. During this period, Berlew became interested in the kinds of behaviors exercised by the people who were in the most influential position that resulted in their “downfall.” Berlew realized that there were both positive and negative types of influence behavior. McClelland was also interested in these “two faces of power.” He argued that power could be used to exploit others or used for the good of the group or organization. The PPIP applies the label of “personal power” to the positive use of personal influence skills. As a training program, it helps participants to explore the difference between the positive and negative uses of power and, through coding individual behavior in group situations, to learn how personal power can be used effectively. The PPIP, therefore, has a conceptual basis in both Bales’ and McClelland’s work at Harvard. In summary, the design of the PPIP emerged from a few key sources. Its core model of personal power and influence partly derives from the study of individual personality and motivation, especially achievement motivation. More important still was psychological research on how achievement motivation was expressed in social and interpersonal situations, particularly the research conducted in complex settings like organizations. The next section describes how organizations’ interest in managerial success led David Berlew and others to explore how people in organizations use power and influence to accomplish their goals, and how these individuals might become more effective through training. Following the events of World War II, there was a growing distaste for authoritarian organizations and management systems. Young organization and management development teachers and consultants were swept up in the participative management movement through involvement with the National Training Laboratories (NTL), with various graduate schools of management, and with clients. Berlew and his colleagues found themselves in the midst of the excitement while at the schools of management at Yale and M.I.T. Like many others, they embraced the democratic values that, even more than considerations of efficiency and effectiveness, made participation and involvement the “one best way to manage” for almost two decades following World War II. In the 1950s and 1960s, these scholars and consultants conscientiously applied participative principles in their management and consulting assignments. They found that, in many situations, participation was a powerful key to improved effectiveness and morale, but in other situations it was not. They learned that while involvement is a powerful management and influence strategy, it is only effective in certain types of situations. By the late 1960s, these students of management philosophy and behavior had begun to explore the situational variables that seemed to determine whether participative management would or would not be effective. Roger Harrison took the issue one important step further. He focused on how people in organizations might generate their willing participation through “self-directed” behavior and values, rather than waiting for permission from managers to become involved. His efforts turned into a lifelong dedication to exploring how people bring inner directedness and personal integration to their work and personal lives (Harrison, in press). Harrison’s work on self-directed behavior attracted Berlew and others to its vision of people consciously choosing and creating environments for themselves that would help them be more effective. In the early 1970s, Berlew and Harrison merged their efforts to study intensively the different ways that individuals influence others in face-to-face situations, especially when they lack formal or positional authority. Initially, their primary motivation was self-improvement: they wanted to broaden their own range of influence skills so that they could be better influencers and more personally powerful. This preoccupation with personal power and influence gradually evolved into an “educational event” that they conducted for friends and colleagues who shared their interests. This event was the first hint of what the Positive Power and Influence Program was to become. As we noted earlier, Berlew had already concluded that the McBer approach to training “achievement” was inappropriate for individual behavioral training. Research suggested that most managers are continually in situations where influencing other people is the only way they can really be successful and achieve satisfaction—whether they are motivated by Achievement, Power, Affiliation, prestige, or status. And if most managers and staff people in organizations are continually in an environment that arouses the Power motive, then all a training program needs to do is teach them how to use it effectively, to exert influence in a positive way. In 1973, Rank Xerox in the United Kingdom saw a connection between the work of Berlew and Harrison and its own efforts to improve the functioning of its project groups. The company retained the team to help train project managers to influence without formal authority. This confirmed the two consultants’ growing conviction that their interest in influence involved more than just a personal agenda. Rank Xerox, British Petroleum, The Irish Management Institute, and other organizations seemed willing to experiment with a type of training that—at the time—was considered quite radical. With their support, a training program began to evolve. Berlew and Harrison chose to call this workshop the Positive Power and Influence Program, despite the fact that many individuals and organizations objected to the negative connotations of the word “power.” Berlew argued that power is part of life in any organization, and should be taken out of the closet and scrutinized by anyone who uses it or is subject to it. Since people are constantly making decisions about how to use or react to power, why not “shine a light on it” and make thoughtful decisions? Berlew believed then, as those who followed him still do, that power is morally neutral: it can be used either positively to strengthen others or negatively to render them powerless. But despite the consultants’ arguments, most of their early clients dropped the word “power” from the workshop’s title, or replaced it with the safer term “leadership,” when they offered it inside their organizations. Some organizations maintain this practice today while still supporting and using the PPIP. The development of the PPIP soon began to generate interest and excitement in the broader world of management consulting. Early in the 1970s, its unique approach to training attracted Earl Rose, who had spent many years inside organizations and was then at Synectics. Rose had been working extensively with small groups, studying how skilled facilitators helped these groups become more effective at creative problem solving and interpersonal influencing. He recognized that these same tasks were necessary in one-on-one situations as well, although without the presence of a trained facilitator to support the process. How did individuals, on their own, sustain creative and effective problem solving and apply productive influence skills? It was this challenge that brought Rose together with Berlew and Harrison, and he contributed extensively to the development of techniques for the PPIP training classroom. In 1976, Berlew left McBer, eventually joining Roger Harrison and Earl Rose to found Situation Management Systems (SMS). As a company, SMS enabled this new partnership to develop, publish, and distribute educational programs for industry, commerce, and government. Berlew and his new colleagues concluded that they did not have to worry about intrinsic power motivation, since there would always be more than enough issues to stimulate people to try to influence others. So, the PPIP turned back towards behaviorism as a way to explore group and interpersonal process. To this day, as a training program the PPIP deals almost exclusively with observable behaviors. The new company launched its efforts with the Positive Power and Influence Program as its first “product.” The PPIP was marketed as an intervention designed to improve participants’ abilities to exercise positive influence with or without positional or hierarchical power. Prior to 1976, the Program was conducted only by the authors and a few training consultants who worked closely with them as friends and colleagues: Hans Zuidema of Bureau Zuidema (the Netherlands), Hans Harboe of AKTI (Denmark), Mike Minty of Rank Xerox (United Kingdom), LeRoy Malouf of LMA, Inc. (U.S.A.), Diana Harrison (U.S.A.), and Cliff Bolster (U.S.A.), an independent consultant still actively associated with their work. In 1978, SMS published a Participant Manual (First Edition) and Trainer Manual, and set up a formal trainer certification process. Earl Rose took the lead in developing the certification process, which helped accomplish our goal of training other people to conduct the program while maintaining a high degree of consistency and quality. David Berlew and Roger Harrison were the primary authors of this first edition. Not long after the PPIP was formally introduced to the marketplace, clients began expressing an interest in how influence training could help them in certain applied environments. SMS responded by developing two new programs that explored how influence behaviors supported productive negotiating behavior (the Positive Negotiation Program) and effective long-cycle selling behavior (the Situational Selling Program). As with the PPIP, these training programs continue to evolve and contribute to an understanding of how effective influence emerges in organizations. There are five streams, or movements, in educational methodology and technology that contributed to the design of the First Edition of the PPIP, and whose impact is still extensive in succeeding versions of the program. Personality Assessment. The quantitative study of personality traits became popular and widespread in academic psychology and in the American armed forces during World War II. Its initial success in identifying specific personnel as (among other things) potential officer candidates, spurred further development in the armed services. Eventually, a standardized psychological test battery emerged, as well as new assessment centers that coded and sorted large amounts of personality data and computed norms for the larger population. Collecting assessment data by observing and coding people’s actions in small group environments extended this technology from personality traits to behavior. The PPIP is not interested in exploring personality characteristics or in comparing an individual against a norm. In the PPIP, people observe actual behavior and then code what they see using a process similar to the Bales method. This is accomplished by means of an instrument (the Influence Style Questionnaire, or ISQ; see the discussion below) and by reviewing videotapes of group exercises. Both the ISQ and our group coding activities, therefore, are descendants of the assessment tradition in psychology. Group Laboratory Approach. Other features of the PPIP are taken from the approach developed at the National Training Laboratory (NTL) in the 1940s and ’50s, and the sensitivity training movement that followed in the 1960s. This era saw the beginning of the “group laboratory” method, where people joined small groups in order to studyand understand their own behavior as well as group dynamics. The adaptation of the “laboratory” method to educational technology eventually became known as the “experiential learning” approach. Experiential Learning and Adult Education. The experiential learning circle, or cycle, now strongly associated with David Kolb’s research, forms the basis for the educational methodology used in the PPIP. The roots of experiential learning emerge not only from the NTL tradition but from a third stream of influence: adult education. One major contributor to this field is Malcolm Knowles. Based on the work of Knowles and others, SMS designed the PPIP to ensure that participants’, rather than instructors’, goals should be the focus of the adult educational process. The adult learning tradition, as embodied in the PPIP, also emphasizes that participants should be given “maximum feasible choice” to work on their own goals in ways they believe are most suitable for them. Adult educational philosophy emphasizes turning over the responsibility for learning to the participant, so that the instructor or leader becomes more of a facilitator and coordinator. Modeling and Behavior Training. A fourth stream contributing to the design and philosophy of the PPIP is behavior modeling. Originating in “behavior modification” approaches to therapy, the power of modeling as an educational technology stems from research by Bandura and others on how adult models affect children’s behavior. The behavior modification approach emphasizes the systematic and direct rewarding of desired behaviors. But the modeling research, now known as “social learning theory,” indicated how a significant person’s behavior can serve as a powerful model for others without systematic or direct reinforcement. In many studies, the reinforcing effect of a behavioral “model” occurred even when the behavior was observed vicariously. Behavior modification is a frequently used design component of many training programs because it is so effective in changing behavior. However, its use creates important value issues for some participants who perceive it as somewhat manipulative, particularly if it is poorly designed and employs positional power. As a training technology, behavior modeling is frequently more effective than pure behavior modification. A training program like the PPIP exposes participants to a model or demonstration of the kind of behavior the program asks them to learn. Such training assumes that if people are motivated enough to master the behavior, then being able to continually compare their own behavior with the behavior of a model is a powerful learning process. Obviously, trainers of the PPIP work hard to provide models of the Influence Styles and Behaviors, and we encourage individual participants to emulate and practice the behaviors they see modeled. Role Playing. A final root of the PPIP comes from Gestalt psychotherapy, particularly as practiced by Fritz Perls. The Gestalt approach also emerged from German phenomenological psychology, mentioned earlier. Its practitioners emphasized the importance of the present moment for learning. They focused specifically on nonverbal behavior as clues to feelings and intention. Gestalt therapists also used role playing—asking a client to act out hypothetical situations, feelings, and behaviors, as a means of helping the person get closer to actual behavior and the emotional content of the moment, so that it could be observed and identified. Role playing also has become a pervasive and powerful educational technology in many training programs, providing learners with opportunities to experience important situations in a safe environment, and to practice and rehearse behaviors that they wish to use in real situations. The PPIP uses this technology extensively. As participants work on exploring and practicing Influence Styles, they attend not only to speech but also to tone of voice and body language. This multiple focus reflects the importance of nonverbal behavior on behavioral intent and impact. In summary, as a training program the PPIP was designed to help participants learn about their current use of influence, explore and practice desired influence skills, and begin to apply them to real interpersonal and organizational situations. To accomplish these learning goals, the Program’s design philosophy draws from a rich heritage: personality and behavioral assessment, the study of individual behavior in groups and group dynamics, experiential learning, adult education, behavior modification, behavior modeling, and role playing. SMS’ belief in the power of the above educational methodologies led to specific design decisions. While some details have changed over the years, the design basics have remained very stable. Adults like to be self-directed in their approach to learning. The adult learner’s extensive personal experience is a valuable learning resource. Readiness to learn is based on the adult’s perceived need to enhance skills. Adults want training to be focused on skills that they can apply. These assumptions continue to govern the development of all SMS training programs. Moreover, they led to the following basic design decisions for the First Edition of the PPIP, decisions that we have continued to implement over succeeding revisions and upgrades of the Program. 1. Begin with collecting extensive self-assessment data on current influence behavior. All Program participants receive a pre-program package that includes a behavioral skills survey. We include self-rating versions, as well as copies for specifically identified colleagues to complete and return to the participant. Participants bring this information to the Program for additional analysis and integration into ongoing learning. The non-anonymous nature of the questionnaire supports the core belief about the role of situational differences. The Program itself begins with exercises designed to help participants gather online data about their current repertoire of influence skills, so that they recognize the current distribution of those skills according to the core model of influence behavior derived from the research. 2. Once self-assessment has occurred, provide opportunities to explore unfamiliar, underused, or undervalued influence skills. This period of intensive skill exploration allows participants to make informed decisions about how to use the remainder of the Program to pursue adding new skills, improve current skills, or build on existing strengths. We believe that individual participants are capable of evaluating their experience and formulating personally relevant learning goals. 3. Proceed to self-directed learning, where the resources of the Program and of participants can be applied to creative practicing of desired skills. In an environment of maximum feasible choice. With a range of equally valued alternatives. Surrounded by norms supporting individual responsibility and independence. So that they examine and reflect on all activities and exercises. Also during this period, participants become increasingly aware of their own “learning style preferences,” and they use that awareness to guide their choice of activities. 4. Finally, each participant applies skills and knowledge acquired during the Program to a critical upcoming influence situation. Once SMS introduced the PPIP to the U.S. and international market, there was suddenly plenty of opportunity to test the Program’s design effectiveness, collect feedback from many different trainers, and assess the impact on hundreds of participants in many different organizational cultures. These experiences, as well as the results of ongoing research by other scholars, generated important data about potential program refinements. The Second Edition of the Positive Power and Influence Program appeared in 1981, and included ideas and suggestions from more than 100 training consultants in the United States, Europe, South America, and Australia who had worked with the First Edition. SMS colleagues—Alex Moore, Bonnie Kasten, and Richard Baker—were especially helpful in this effort. David Berlew and Earl Rose were the primary authors of the Second Edition Participant Workbook and Trainer Manual. As a result of theses many suggestions and ideas, as well as the emerging body of research on influence behavior in organizations, SMS designed, tested, and implemented some changes in the core influence skills model used in the Program. Influence Style labels were changed, and new instrument items were written and tested to accommodate the changes. Other changes to the Program involved adding needed structure to certain activities, changing the exercise mix available to participants, and tightening the activity flow to better incorporate adult learning theory. The Third Edition of the Positive Power and Influence Program, released in 1987, represented a major revision of both the participant and trainer materials. It featured an updated model based on additional new research, more graphics, a shorter and more useful Pre-Program Assignment, more focus on Disengaging, and several new readings as well as a completely redesigned Trainer Manual. Earl Rose took the lead in preparing the Third Edition’s Participant Workbook and Trainer Manual. Other SMS contributors included Irv Rubin, Dane Harwood, Alex Moore, Tom Gosselin, Bill McCormick, and Nort Salz. Additional key suggestions came from Cliff Bolster, Kim Barnes, and many other certified trainers. In 1990, SMS developed and released the Positive Power and Influence: Advanced Workshop for PPI graduates. Earl Rose authored this follow-up Program, now available worldwide. PPIP-AW is designed for both review and refreshment of skills. The workshop also explores influence problems involving positional power. Earl Rose and Dane Harwood lead the development effort for the Fourth Edition. In this edition, they added many readings to support learning during the Program, as well as additional post-program material support. They also sharpened both the conceptual and procedural elements of the Program’s design, focusing especially on applications technology. Many colleagues, domestically and internationally, have contributed to this work. Over time, additional observation and research provided more clarity about key behaviors or skills which made up each of the four Style categories. Harrison and Berlew were able to differentiate, or “break out,” the four Style scores into ten component behavior scores. Once again, they performed an item analysis but not a factor analysis. They felt they had taken reasonable precautions in developing a questionnaire, called the “Influence Style Questionnaire (ISQ)” that would be sufficiently reliable for use by participants in a training program. The ISQ would allow these participants to collect and use behavioral self-assessment data in conjunction with data from other sources. Harrison and Berlew called these questionnaire-based data “messages,” rather than measures, to emphasize their conviction that participants should neither consider their ISQ results as unalterable, nor should they compare their data to some behavioral “norm” or ideal. Although Berlew and Harrison have always maintained that the ISQ was not designed carefully enough to be used for research purposes, a number of scholars have found the instrument useful for their research, and it has produced very interesting results. The ISQ was used at the University of Oregon quite successfully, proving to be reliable and valid enough to predict behavior. In the early 1980s, Ruud van Ommeren from Bureau Zuidema, a consulting firm in The Netherlands, did complete a factor analysis of the ISQ. Although he expected to find that the Influence Style Model’s components led to undifferentiated factors, in fact the results pointed to fairly separable dimensions (accounting for 34 percent of the variance). His report was presented at our 1983 International Agent and Licensee Conference in Florida. In 1989, Sheri Feinzig and her sponsor, George Alliger, researchers at the State University of New York at Albany, conducted a confirmatory factor analysis on the 1987 Third Edition version of the ISQ. Feinzig used as participants in her study managers from a local and well-known high-tech manufacturing organization. These managers were participating in an SMS negotiation-skills training program that used the PPIP behavioral model and the ISQ instrument. She asked participants to complete the ISQ as a self-rating, and to collect ratings from their subordinates as well. In addition, they were to complete the ISQ as “actual” behavior and as “desired” behavior. Feinzig’s factor analysis found that the ISQ’s validity was strongly supported for the four-style model used by the PPIP Third Edition (accounting for 87-97 percent of the variance). Interestingly, validity was higher for “desired ratings” than for “actual” ratings, and the subordinates’ (respondents’) data on their managers fit better than the managers’ (program participants’) data. Van Ommeren’s and Feinzig’s research confirms and quantitatively documents Berlew’s belief in the face validity of the ISQ. As SMS moves to a new edition of the PPIP and the ISQ, new research on item analysis and instrument validity will be conducted. The Influence Style Questionnaire (ISQ) has always been designed to support the Positive Power and Influence Program as a training event. The following discussion describes how the ISQ is positioned in the PPIP by program materials and by trainers. Personal skill determines the quality of achievement and relationships. Sole reliance on hierarchical positional power and authority is declining. Where hierarchy is still the rule, it interferes with productivity and damages relationships. Success depends on the ability to personally and positively influence others—to achieve one's personal objectives while building, or at least maintaining, relationships with others. How do we meet our objectives yet maintain positive working relationships? We can accomplish both these goals by being flexible in how we influence others. Flexibility is the key to positive influence—there is no one right way. Different individuals represent different influence situations. This is also true for the same individuals at different times. As we move from one work situation to another our influence objectives change, and the way we influence to reach those objectives changes as well. Influence is behavior—skills we employ at certain times in order to change the way things are. These behavioral skills are within our control; we are capable of making strategic decisions about how we wish to behave, and we are capable of altering our behavior through our own judgment, if we have adequate alternatives—an influence "tool kit." Sometimes our flexibility becomes blocked. We may not have acknowledged or learned alternative styles of influencing. We are not as effective at using some styles as others. Recognizing barriers to influence flexibility may lead us to seek training in influence skills to ensure our productivity and effectiveness. The Positive Power and Influence Program helps individuals explore a wider range of influence skills and learn how and when to use them effectively. How does the Program motivate participants to pursue this path? Participants maximize their training through rigorous self-assessment. Self-assessment requires honesty and objectivity. The critical questions in skill development are: How do we currently behave as influencers? Do others see us as we see ourselves, or do our intentions differ from our impact? Do different people see us acting differently (for example, do we act differently with our supervisors than we do with our subordinates)? If so—how? Is there anything we do too much or too little, that by changing would increase our effectiveness? Do we use the skills we have effectively? Answering these questions is necessary to establish a baseline. We want to assess how we influence particular people; we want to know whether we are effective when we act; if we decide we are not being effective, we need to know what to change. We are likely to miss opportunities during training (and at work, too) if we lack focus. And the answers must be meaningful. This will require (1) honesty, candidness, and objectivity from oneself and others, (2) a focus on frequency of behavior, not attitude or personality, and (3) data attributable to specific people. Objective self-assessment precedes self-development, and it must be self-assessment. Personal ownership of baseline data is critical to decisions we make during training about what to work on. Those decisions then motivate us to follow a long-term self-development plan after formal training has concluded. How is long-term commitment initiated and maintained after the Program? This self-development process depends on the availability of person-specific feedback. Person-specific behavioral feedback is essential. The person best able to provide us with data about our effectiveness when we influence is our influence target. The "Influence Style Questionnaire (ISQ)" provides this information to each Program participant from specific work and other situations. The ISQ helps bring people's "real life" into the learning laboratory. Once in the Program, realistic exercises provide additional on-line data and help to fill in the blanks. Participants to self-assess how they influence others in both (a) productive and (b) less than productive situations. Participants to enlist colleagues to complete a similar assessment for them —people who need to be influenced, who may be difficult yet necessary to influence, and who are likely to respond meaningfully. For frequency information only, not effectiveness judgments. Colleagues to respond openly and non-anonymously. No one else sees the information unless the participant chooses to share it—the participant is always in control. The participant manages the interpretation of the ISQ data, since the participant is the only person who knows the situational context of each set of results: the nature of influence objectives, degree of past effectiveness, and the quality of the relationship, and the meaning of his or her own responses. There is no right answer; each person's situation is unique. The ISQ provides a database for focusing on critical messages. It can then be used to help tailor the training Program to meet each person's individual skill-building needs. The Program instructor helps guide the interpretive process. How do we maintain an objective and open perspective during self-assessment? We begin by assuming that influence behaviors themselves are neutral. Then, messages we receive from others tell us how we have chosen to use influence. In the Program, participants are coached that the ISQ items are all neutral. The research that underlies the questionnaire design indicates that each and every behavior included in the survey can be—and has been—used in organizations in positive ways (that is, to achieve influence objectives while supporting relationships) and in negative ways (that is, to force objectives at the expense of working relationships, to disempower others, or to avoid objectives entirely). Some organizational cultures may not support seeing all influence behaviors neutrally. We ask participants to make their own decision, based on their understanding of their own environment. The ISQ itself does not emphasize that the behaviors are theoretically neutral. This point is reserved for discussion in the Program. This lack of emphasis in the questionnaire poses a risk: some people (either participants or their colleagues) might decide that some items are value-laden—especially negatively—and thus these people might skew their scoring accordingly. Or (worse still), the participants' associates might decide not to complete the questionnaire at all, out of fear of damaging the working relationship. When colleagues have skewed their responses or even not responded because of value conflicts, participants are often able to recognize and interpret such behavior as messages. They can then make informed decisions about how to modify their influence behavior with these colleagues. Occasionally, some participants or their colleagues misinterpret the frequency task of the ISQ for an evaluation task. The Program handles this risk. Participants learn that the ISQ is simply data. If participants read their colleagues' messages as biased, that may be an important additional message about the nature of the working relationship, the organization, and/or the culture. When instructors encounter this problem, they help clarify it as either true bias or as the participant's attempt to avoid accurate interpretation of the message being sent. How can the organization help to overcome or minimize these risks in using the ISQ? Organizational support for the training process is the key. Organizational support for using the ISQ contributes to overcoming risk. Some organizational cultures work against giving and getting the personal, unbiased, fearless, and objective feedback necessary for effective skill-based training. In such organizations, the ISQ can succeed as a relevant training data-base if the the human resource and training functions know the Positive Power and Influence Program, how the ISQ is used in the Program, and support the participants' preparation for both the ISQ and the Program. Often a memo to attendees from an internal person close to the Program will handle any misgivings. At other times, more active managerial intervention is required. In organizations undergoing stressful transitions, that rely heavily on positional hierarchy, or where people distrust feedback, support by the attendee's manager may be essential. SMS' "Management Briefing Package" is designed to facilitate this type of intervention. The Positive Power and Influence Program is designed so that the participant's work in the Program, with the assistance of a highly skilled instructor, will clear up concerns and misunderstandings. Instructor and participants together build a road for interpreting any biased messages. Use of the ISQ supports the core values of confidentiality, respect for the individual, and personal empowerment. Participants empower themselves by their willingness to test their behavioral intention against the actual impact on others. They build on their strengths by setting their own personal learning goals based on this data. They review these goals frequently and make any midcourse corrections they feel they need. Participants empower their colleagues by giving them an opportunity to provide nonevaluative feedback on critical skills used daily to make a difference in performance. Mutual empowerment is the essence of the Positive Power and Influence Program. Administration of the ISQ begins this process effectively, immediately, and strongly. The ISQ sets the stage for successfully achieving learning objectives, goals that participants are motivated to apply back in the workplace. Personal influence skills, used positively, achieve personal objectives while supporting working relationships. Skill flexibility increases personal effectiveness—there is no one "right way" to influence another individual. Behavioral feedback attributable to specific colleagues is critical for successful behavior change. Influence behaviors are neutral as such; their positive or negative use in influence situations is a matter of choice. Organizational support guarantees the instrument's effectiveness. Berlew, D.E. How to increase your influence. Training & Development Journal, 1985, vol.39, 60-63. Berlew, D.E. Notes on the origins of the Positive Power and Influence Program. Common Ground, 1985 (October), 4-6. Berlew, D.E. On the origins of the ISQ. Common Ground, 1985 (June), 4. Berlew, D.E. The power failure in organizations. Training & Development Journal, 1984, vol. 38, 34-38. Berlew, D.E. Leadership and organizational excitement. California Management Review, 1974, vol. 17/2, 21-30. Berlew, D.E. & Heller, D. Style flexibility—tools for successful leaders. Legal Economics, 1985 (November/December), 34-38. Ciampa, D. Manufacturing’s New Mandate: The Tools for Leadership. New York: Wiley, 1988. See Chapter 5: “Influence” concerning the PPIP influence model’s relationship to TQM and JIT. Cohen, A.R. and Bradford, D.L. Influence Without Authority. New York: Wiley, 1990. Conger, J. The Charismatic Leader. San Francisco: Jossey-Bass, 1991. Feinzig, S.L. and Alliger, G.M. The Influence Style Questionnaire: A confirmatory factor analysis. Master’s Thesis, Department of Psychology, SUNY Albany: Master’s Thesis. Gabarro, J.J. and Kotter, J.P. Managing your boss. Harvard Business Review, 1980 (January/February), 92-106. Gardner, H. Frames of Mind: The Theory of Multiple Intelligences. New York: Harper and Row, 1985. Gaw, B.A. Processing Questions: An Aid to Completing the Learning Cycle. Annual Handbook for Facilitators, University Associates, 1979. Harrison, R. The Collected Papers of Roger Harrison. San Francisco: Jossey-Bass (in press). Knowles, M. The Adult Learner: A Neglected Species. Houston, TX: Gulf Publishing Company, 1978. Kolb, D. Experiential Learning: Experience as the Source of Learning and Development. Englewood Cliffs, NJ: Prentice-Hall, 1984. Kotter, J.P. Power and Influence: Beyond Formal Authority. New York: Free Press, 1985. Kotter, J.P. Power, dependence, and effective management. Harvard Business Review, 1977 (July/August), 125-136. McClelland, D.C. Power: The Inner Experience. New York: Wiley & Sons, 1975. McClelland, D.C. The two faces of power. Journal of International Affairs, 1970, vol. 24, no. 1, 29-47. Pfeffer, J. Managing with Power: Politics and Influence in Organizations. Boston: Harvard Business School Press, 1992. Roloff, M.E. and Miller, G.R. (eds.) Persuasion: New Directions in Theory and Research. Beverly Hills: Sage, 1980. Salancik, G. and Pfeffer, J. Who gets power and how they hold on to it: A strategic contingency model of power. Organizational Dynamics, 1977 (Winter), 3-21. Steil, L.K., Summerfield, J., and deMare, G. Listening: It Can Change Your Life. New York: Wiley, 1983.
van Ommeren, R.J.J.M. The Bones of the Dutch Version of the I.S.Q. The Netherlands: Bureau Zuidema, 1983. Whetten, D.A. and Cameron, K.S. Developing Management Skills: Gaining Power and Influence. New York: HarperCollins College Publishers, 1993.